Courts • Instances of prosecutorial misconduct are being discovered across the nation, but few attorneys are ever disciplined. Provo City Councilman Steve Turley Al Hartmann | Tribune file photo Provo Councilman Steve Turley is seen leaving a court hearing. Scott Sommerdorf | Tribune File Photo Davis County prosecutor Troy Rawlings announces in a press conference held outside the Davis County Justice Center that his office plans to file aggravated murder charges against Nathan and Stephanie Sloop in connection with the death of 4-year-old Ethan Stacy. It was during a July 2013 hearing that a Utah County judge declared Steve Turley&apos;s constitutional right to a fair trial  and perhaps Utah&apos;s wiretapping laws  had been violated. The transgression: County prosecutors and investigators watched a live video feed while the former Provo councilman consulted with his attorney after they had met at the prosecutors&apos; office to discuss fraud allegations lodged against him. A recording was made of the conversation, but it was later destroyed. The remedy: There was none. The case wasn&apos;t dismissed at that time, the county attorney&apos;s office stayed on, and the prosecutors were never reprimanded in any way. "These are prosecutors, these are investigators that are staring at a big screen TV in a separate room, watching and listening to attorney-client privileged discussions," Turley said in a recent interview. "... They know they&apos;re not supposed to listen. They&apos;re not supposed to listen and, instead, they kept the tape rolling and they&apos;re staring at the screen." Though the judge ruled Turley&apos;s rights had been violated, the court found that no harm had been done. It would be nearly two more years before all of the 10 felony charges against Turley would be dismissed  nine counts by a judge and the last at the request of prosecutors. With the case dropped, the only remedy Turley had to address the actions of the prosecutors was a lawsuit  which he filed earlier this year. But there are concerns, he said, of overcoming "bulletproof" governmental immunity laws that protect prosecutors as they do their jobs. "There is no disincentive for these guys to ever play by the rules," he said. A lack of accountability, as in Turley&apos;s case, is not unusual. A Salt Lake Tribune analysis of court documents and public records show Utah&apos;s prosecutors are rarely disciplined, even as complaints of misconduct are brought to light during court proceedings or in the appeals process. Infrequent discipline >> Prosecutors in Utah hold a tremendous amount of power. They are the ones who file criminal charges, who hold the evidence and who can offer plea deals ahead of a trial. They have the power to tarnish a reputation, seek fines or put someone behind bars. In the most severe cases, they are the driving force to have a person executed. But it is difficult to know if prosecutors here or in other states abuse this power  and to what extent  because most alleged misconduct occurs behind closed doors in the offices of county or district attorneys, according to the Center for Prosecutor Integrity. The national organization, however, points to one statistic that gives an inkling of the problem: The National Registry of Exonerations concluded in 2013 that 43 percent of wrongful convictions were attributable to official misconduct. The Center for Prosecutor Integrity has been assembling a database of prosecutors who have broken the rules, a list that contains more than 1,000 instances nationwide of abuse of prosecutor power. The center found a single case in Utah, while a Tribune analysis found two cases. The most common grievance was using inadmissible or false evidence, but instances of prosecutors not handing over all evidence to the defense, making inflammatory statements or harassing witnesses, also ranked high, according to the center. But is more widespread misconduct happening in Utah? Ask the prosecutors running the biggest offices along the Wasatch Front and their responses differ. Utah County Attorney Jeff Buhman said he doesn&apos;t believe there is "any form of systemic misconduct" happening. Salt Lake County District Attorney Sim Gill believes there are enough checks and balances to keep the system fair and that the overwhelming majority of attorneys  both prosecutors and defense lawyers  are ethical. Davis County Attorney Troy Rawlings said he is not sure, but his office takes complaints of misconduct seriously. In fact, the only two prosecutors in the state to be disciplined for misconduct through the Utah State Bar since 2010 came from Rawlings&apos; office. Neither of them now works as a prosecutor in Davis County. "If somebody cheats, our policy is, &apos;You&apos;re done,&apos; " he said. "If we can prove that you knowingly and intentionally cheated, it&apos;s over. You&apos;re not going to get another bite at the apple." Rawlings acknowledged that this approach can, at times, be damaging to his office&apos;s reputation. "The reaction of the public is not, &apos;Oh, look at the Davis County attorney&apos;s office, they take misconduct seriously,&apos; " he said. "No. It&apos;s that, &apos;They&apos;ve got cheaters in Davis County ... and they are the only ones that do [cheat].&apos; That&apos;s what it looks like." Addressing misconduct is &apos;of dire importance&apos; • In rulings on criminal cases, the Utah Supreme Court has noted instances when prosecutors engaged in wrongdoing  but it was just last year that the justices considered for the first time a case specifically dealing with prosecutor misconduct. In that case, the high court ordered an ex-Davis County prosecutor suspended for six months for mischaracterizing evidence in a robbery trial. Defendants often raise complaints of prosecutorial misconduct as they appeal convictions. But, even in higher courts, prosecutors are rarely held accountable. Since 2015, Utah&apos;s high courts have weighed in on 18 cases involving allegations of misconduct, according to a Tribune analysis. New trials were ordered in three of those cases. In one case, a prosecutor did not disclose evidence to the defense until midtrial. The other two cases involved co-defendants who received new trials after the prosecutor asked the jury to find them guilty of sexual abuse and not let them "take advantage" of the victim a second time  a statement the justices found was inflammatory. No apparent attorney discipline resulted from other venues in connection with the allegations in the 18 appellate cases. Often, the high court found an error was made by a prosecutor but deemed that it didn&apos;t justify a new trial. In a case in which a prosecutor was accused of making an inflammatory comment during closing arguments, the appeals court found that while the remark "was clearly improper and should not have been made," it was harmless and the defendant&apos;s conviction remained. Even in cases when the high court finds misconduct and reverses a conviction, the prosecutors are protected from overt public scrutiny: Their names are never published in the opinions. And it is unlikely that many prosecutors are being disciplined within their own offices. Discipline reports requested last year from several of Utah&apos;s larger county attorney&apos;s offices show little action taken against prosecutors for anything that happens inside a courtroom. No prosecutor discipline has been recorded in Weber County since 2010. In the Salt Lake County district attorney&apos;s office, the single discipline report for the previous six years was for a lawyer who made inappropriate statements about a subordinate&apos;s sexual orientation. In Utah County, the only discipline records that were publicly released were reprimands for trial preparation errors. In one case, a prosecutor was disciplined for speaking with the news media without prior approval. Former U.S. Attorney for Utah Brett Tolman, who now is a defense lawyer and represents Turley, said misconduct "absolutely" happens in Utah. Prosecutors aren&apos;t running amok, he said, but they may be cutting corners or abusing their discretion. "I was a prosecutor for over a decade," Tolman said. "And I knew that while there were ethical repercussions if you do something you aren&apos;t supposed to do, largely your decisions are unchecked. And so you get a sense  and I did, too  that whatever you do decide to do is the right thing, and you aren&apos;t concerned about the consequences of it." 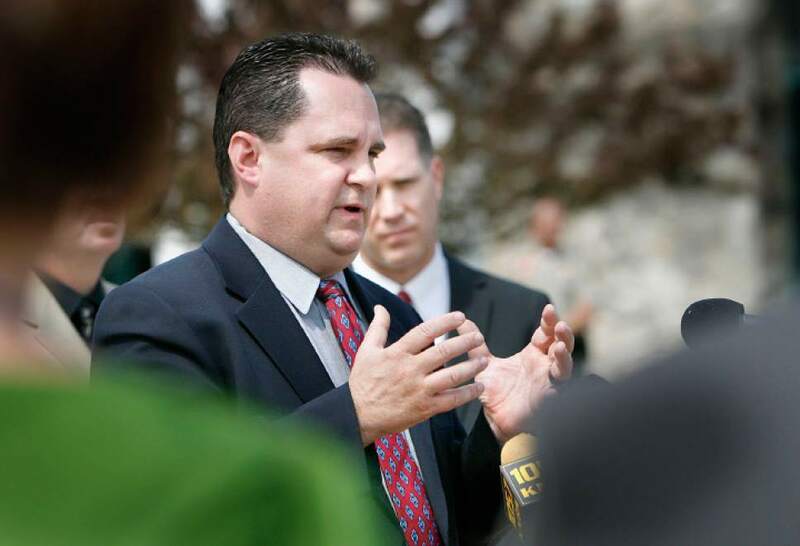 Defense attorney Jeremy Delicino, who filed a bar complaint against one of the Davis County prosecutors who was reprimanded, believes allegations of prosecutorial misconduct are not being treated seriously in Utah. "It&apos;s of dire importance," Delicino said. "[We&apos;re] not addressing it fairly or appropriately, and it hurts defendants, hurts defense attorneys and it hurts the majority of prosecutors who are doing things ethically." More oversight coming? >> Some in Utah are trying to bring more oversight to what prosecutors do. Nationwide, nearly 30 district attorney&apos;s offices have adopted Conviction Integrity Units  review boards that look over past cases to identify unjust convictions. Nothing similar has been implemented in Utah, but Rawlings said his office has adopted an informal system to investigate possible misconduct when complaints arise. Rawlings said a full-blown unit that investigates every conviction is not feasible for an office his size  he has 14 prosecutors on staff  but when a complaint arises from a defendant, victim, judge or anyone else, a full investigation is completed in-house, with a final review from an outside office, usually the Utah attorney general&apos;s office. In Utah County, some residents are seeking a different approach. They are asking the County Commission to establish a Restorative Justice Commission, a body outside the county attorney&apos;s office that would hear cases of misconduct or wrongful prosecution, investigate allegations and then make recommendations to county commissioners about appropriate remedies. The proposed commission would have no jurisdiction to discipline individual attorneys, but could suggest financial payouts from the county to publicly recognize any wrongdoing. At a Tuesday commission meeting, Libertas Institute President Connor Boyack told commissioners that creating a body that holds prosecutors accountable can act as a deterrent to attorneys who break the rules. "For our organization, this is not personal," Boyack told commissioners. "This is something we would like to see opened up and replicated elsewhere." During that same meeting, Deputy Utah County Attorney Tim Taylor told the commission that a Restorative Justice Commission wasn&apos;t necessary, because there were other avenues  like filing complaints with the Utah State Bar or bringing lawsuits  to hold prosecutors accountable. He said he worries that if the proposed commission is created, attorneys would start second-guessing themselves and their decisions. "Do we get it wrong?" Taylor said. "Sometimes, absolutely. But from the mistakes we&apos;ve made, we&apos;ve tried to improve." Because the issue was heard during a work session, the County Commission took no action. It&apos;s unclear when, or if, the public officials will vote on whether to create the commission. The topic of prosecutor misconduct also was discussed among Utah&apos;s lawmakers this past legislative session after Sen. Todd Weiler, R-Woods Cross, brought a proposed resolution that would allow sanctions for prosecutors who don&apos;t give all of the evidence to the defense. He ultimately pulled the bill, Weiler said, to allow the state court&apos;s criminal procedure advisory committee to look into the matter. He hopes that panel might implement a rule change, but if it doesn&apos;t, the senator said he will likely revive the issue during the next session. Weiler said he is hearing more and more anecdotes about evidence-sharing complaints and other problems with prosecutors, which he called concerning. "It&apos;s a big issue," Weiler said. "As a Legislature, we&apos;re not always best served to address something in 45 days. Although I am convinced we need to address this issue, I think it&apos;s important enough [we need] to get it right." According to a Salt Lake Tribune analysis, 130 discipline cases have been filed by the Utah State Bar against attorneys in district court since 2010. Of those lawyers, three were prosecutors. The most severe punishment  disbarment  was handed out most often to attorneys accused of taking funds in some way from a client. But attorneys who got into trouble with the law or had egregious cases of abandoning their client were disbarred as well. Former Deputy Davis County Attorney Tyler Larsen • was fired from his job after alleged misconduct during a 2010 aggravated robbery trial in which he showed the victims a photo of the defendant, but did not show them any other photos as part of a proper photo lineup. This was not disclosed to the defendant&apos;s attorney, who asked for  and was granted  a mistrial when one victim testified that Larsen had shown her the single photo. 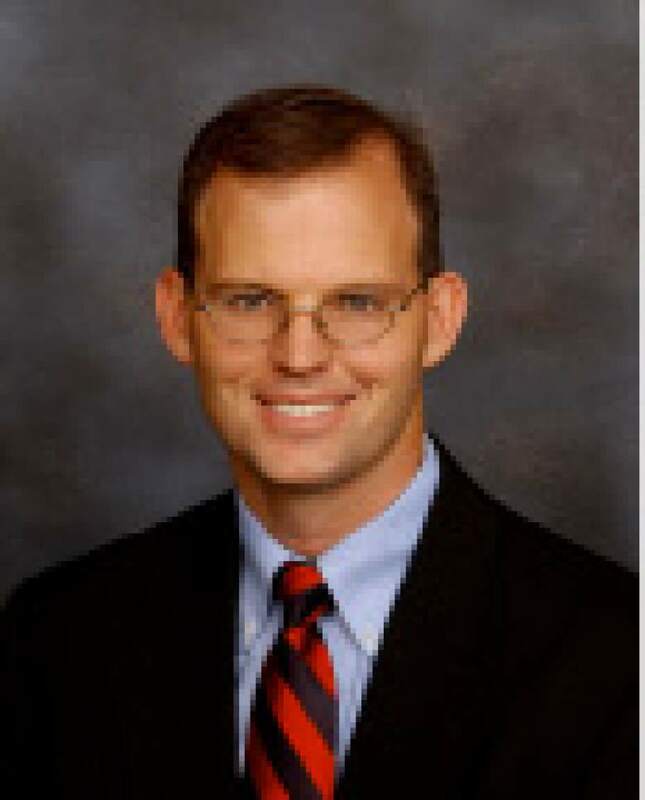 After a trial, a district court judge ordered that Larsen&apos;s law license be suspended. He appealed the decision, and the Utah Supreme Court in 2016 ruled that a six-month suspension was adequate. 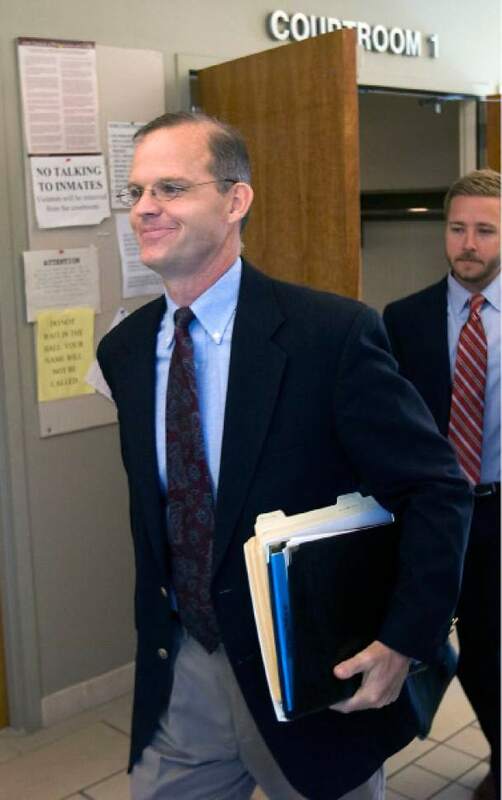 Matthew T. Johnson, another former deputy Davis County attorney • received a public reprimand from the Bar after a defense attorney filed a complaint accusing him of lying to the judge during an aggravated assault trial to gain an unfair advantage. The judge declared a mistrial during the November 2012 trial, according to court records, after Johnson tried to get a witness to acknowledge hearing a key statement made by the defendant, which was actually heard by someone else who had not been called to testify. Johnson resigned from his position shortly after the mistrial and a subsequent investigation. His attorney has said that the then-prosecutor did not intentionally lie, but that it was an attribution mistake made because he was not adequately prepared. Former North Salt Lake City Attorney D. Michael Nielsen • was put on probation with the Utah State Bar for three years beginning in 2011 after he bought cocaine from an undercover police agent. He pleaded guilty to a third-degree felony count of attempted possession of a controlled substance, but that charge was dismissed after he successfully completed a drug court program.